The President House in New Delhi, called Rashtrapati Bhavan in Hindi, presents its charms in the Spring season. 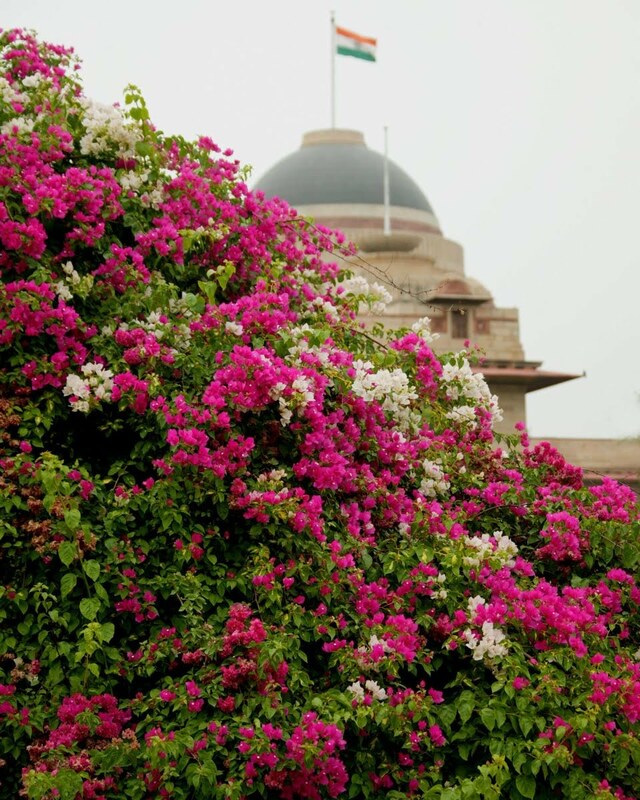 Every year the Mughal gardens of the Rashtrapati Bhavan are thrown open to the public for one whole month to enjoy the royal regalia of colours of the wide variety of flowers in full blossom, in the backdrop of the palatial red sandstone building. The mild fragrance and the colour carpet of flowers, green lawns, water fountains just overwhelm the onlooker. The Presidential estate covers an area of 340 acres. The main Presidential building has 334 rooms of various sizes, spread over four floors.